Address: Hotel Bannister, Samaná (Gran Santo Domingo), Dominican Republic. The air-conditioned unit is fitted with a kitchenette. Towels and bed linen are available at Marina View Hotel Condo. Other facilities at Marina View Hotel Condo include a spa centre and year-round outdoor pool. You can play tennis at the property, and car hire is available. 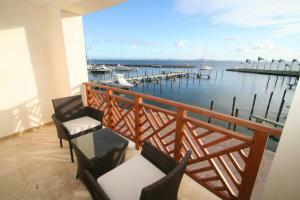 The nearest airport is Samana El Catey International Airport, 40 km from Marina View Hotel Condo.